Finding the bones of a marine whale 150 miles from the ocean, in the fields of rural Vermont, is an intriguing dilemma. Join the expedition to the Falkland Islands to find evidence of sharks that lived before the dinosaurs. Then build your own ancient predator! Move your mouse over the illustration and find out about creatures that lived in the oceans during the Devonian period. Did you know that lobsters were once “poverty” food? Find out why they turn red when cooked. Dissect a lobster and learn about their parts, from the Gulf of Maine Aquarium. Dive into the world of water without getting wet at the New England Aquarium. Explore vibrant coral reefs, from the Bahamas and the tropical Pacific to temperate Australia. Meet the animals that live in the coastal waters off the Oregon coast–starfish, jellyfish, Chinook salmon, crabs, prawns and more. These are the creepy crawlies and monsters of the deep you’ve been waiting to see. Starting with the first really deep ocean zone – the Mesopelagic. Look below the surface and you’ll see that there are lots of different kinds of ocean ecosystems – more than on land – all teeming with life. Ocean ecosystems depend on each other for survival. Living organisms fill our ocean, estuaries, and coastal areas. These organisms take many forms from the tiniest single-cell plankton, to the largest mammal on Earth, the blue whale, and the largest colonial organism, the coral reef. Subscribe to this blog to watch videos of the northern fur seals at the New England Aquarium. Interactive games to help you understand sea life. You may even have kelp in your kitchen cupboard! Find out about sea otters and sharks. Ponds Freeze in the Winter – Why Doesn’t the Ocean? Counting the Fish in the Sea. Make Your Own Deep-Sea Vent. How Sea-dwelling Animals Stay Warm. Make Your Own Sea Otter. A ‘Rockpooler’ is a naturalist explorer of the shore. Rockpooling Reports in Glaucus are detailed studies introducing a visitor to various shores around the British Isles. The idea is to give rockpoolers information that may help them when visiting shores of which they are not familiar. Tide pools are areas on rocks by the ocean that are filled with seawater. Tide pools can be small, shallow puddles found high up on the shore or huge, deep holes nearer to the sea. 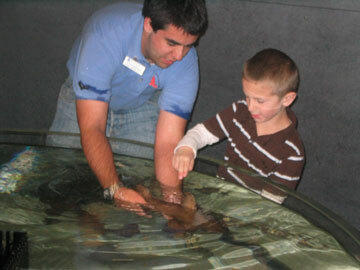 Gavin petting baby shark at aqarium on Santa Barbara pier. Just choose the level you’d like to work at, then print out the colorful worksheets about coral reefs School Express. Our Monterey Bay cam offers a sneak peak at the view from this California aquarium’s oceanview decks. From this vantage point, you can identify a number of the birds and sea mammals that find refuge here. He was six feet away from a humpback whale calf when its mother came up behind him and tapped his shoulder, gently extending her 15-foot pectoral fin in order to show Austin that she was watching him. The Whale and Plover, Retold by Allen Tom. A coloring book in English and Hawaiian. In the early summer of 1955, A lone bottle-nose dolphin swam into the Hokianga Harbour in the far North of New Zealand and adopted the people of Opononi as her family. She became a folk hero, and even had songs written about her. In the game help the Greenpeace ships outsmart the Whalers. Help your whale avoid the harpoons. And then sign the petition to end whaling and stop the slaughter. 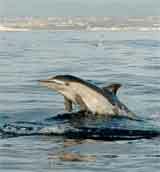 Whales use sound for communication and echolocation. Listen to the whale song. Can you identify the whale making this sound?